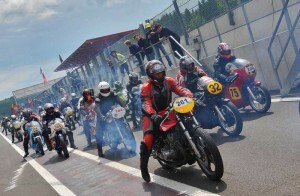 This year marks the 40th anniversary of the Suzuki RG500 – and what better event to celebrate this than at the Bikers’ Classics at Spa-Francorchamps. 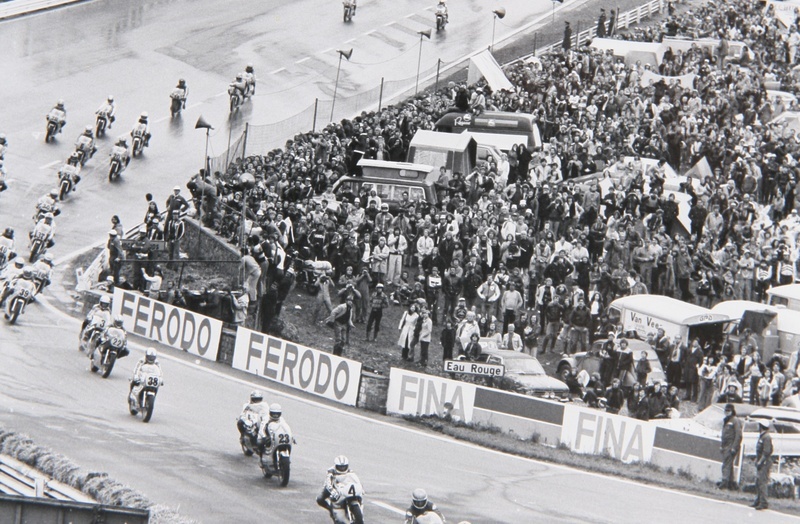 In 1977 the Belgian Grand Prix went down in history as the fastest ever Grand Prix thanks to winner Barry Sheene. Philippe Coulon set the fastest ever pole lap that weekend and he is one of many RG500 riders to return to Spa from 4-6 July. The 14.1 km/8.7 mile long Spa-Francorchamps circuit had been the fastest track on the Grand Prix calendar since 1956 and that 1977 Belgian Grand Prix set new standards. 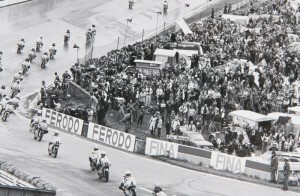 A year prior to the historic race the Suzukis showed their speed at the Ardennes circuit with RG riders John Williams, Barry Sheene and Dutchman Marcel Ankoné finishing on the podium. Sheene gave Suzuki its first 500cc world title at the end of the 1976 season. In 1977 defending champion Sheene came to Spa-Francorchamps leading the championship and the popular Englishman was keen on getting the race win that had eluded him a year before. But it was Philippe Coulon who would claim pole position. The Swiss Suzuki rider recorded a sensational lap of 3.50,90 minutes, with an average speed of 220.147 km/h (136.793 mph). It was the fastest pole lap in history, a record that still stands. On top of that, it was Coulon’s first and only pole position in his Grand Prix career. Come raceday however, Coulon was no match for Sheene. Starting from second position on the grid and almost 1.5 seconds down on Coulon, Sheene proved that he still had something up his sleeve in the 10 lap race. The Heron Suzuki rider rode to a solid race victory – his fifth of the season and his only win at Spa-Francorchamps, beating Yamaha’s Steve Baker by 11.3 seconds. Sheene’s speed was phenomenal: his average race speed was 217.370 km/h (135.0 mph), making the 1977 Belgian Grand Prix the fastest ever Grand Prix in history. Sheene also recorded the fastest lap ever, lapping the 14.1 km track in 3.50,30 minutes with an incredible average speed of 220.721 km/h (137.1 mph). As with Coulon’s pole lap, these two records also have never been broken. Philippe Coulon finished in sixth position with Dutchman Wil Hartog in seventh. Throughout the years, both riders have become true regulars at the Bikers’ Classics. British Suzuki collector Steve Wheatman will once again provide bikes for both men. 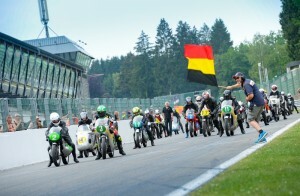 Coulon will ride a 1986 RG500 MK10 and 1978 Belgian Grand Prix winner Hartog will ride a 1980 MK5 at this year’s event.